Sentiment indicators are graphical way of gauging how people feel (optimistic or pessimistic) about a particular business environment or a market. They are used to quantify how different fundamental factors such as unemployment, politics, inflation or other macroeconomic data, influence the confidence consumer have in particular market. Sentiment indicators form the basis of sentiment analysis. A simple illustration would be to imagine where there are 50 traders trading the EUR/USD. Supposing there are concerns that the US Federal Reserve would raise interest rates, how many of these traders would assume long positions on the EUR/USD and how many would end up shorting the pair? It is sentiment indicators that display this information. Generally speaking, a currency pairs direction is influenced by the trading volume in one of the two market directions that the pairs can assume. Therefore, when currency trade volumes are overwhelmingly in one direction, the direction of the currency pair price would switch in the direction to which there is the volume tilt. So now imagine a situation where 48 out of the 50 traders mentioned earlier have switched to sell the EUR/USD when the market is in an uptrend; it is easy to come to the realization that the EUR/USD’s uptrend will end sooner rather than later and lead to a price fall. Sentiment indicators will show the overwhelming volume in terms of the short trade and signal to a trader watching for an opportunity that a downtrend reversal is in the offing. When a technical reversal signals shows up on the chart, the trader can then enter short to ride the currency pair lower. 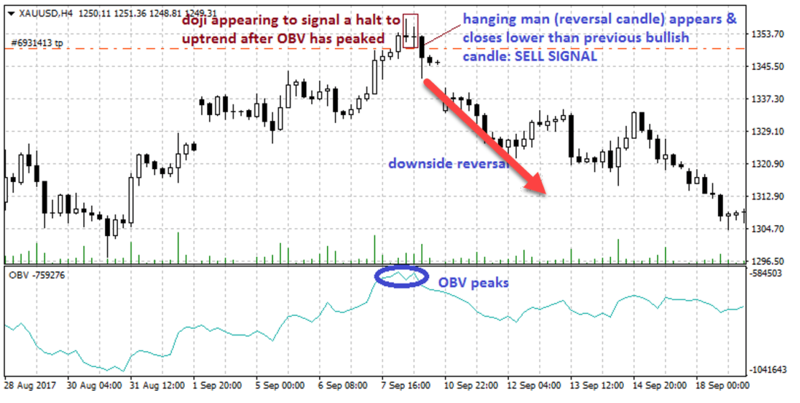 For traders who were in long positions on the currency pair, these signals indicate that it is time to quit the long positions so as not to lose any unrealized profits. Here is a list of the various sentiment indicators used in forex. This discussion will focus solely on indicators that provide sentiment data in real-time. 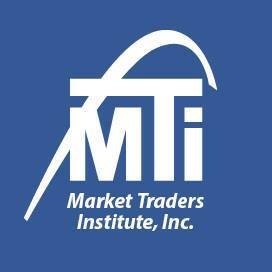 Market volatility provides a sense of what market sentiment is in a currency pair or a market. Volatility is defined as the total amount that the price of an asset at a certain period diverges from the mean price when calculated over a particular time frame. If you want to see how to measure volatility in the market check out this post. Retail traders tend to get scared when volatility in an asset increases. The retail traders or the “dumb money” are most pessimistic when volatility is high, which causes markets to bottom out. So periods of high volatility are actually the best times to buy into an asset. In contrast, low volatility causes retail traders to be more comfortable. They tend to buy into the asset at these times but because the market has not bottomed out, prices keep falling. So, periods of low volatility represent a time to sell. Some traders will opine that because 95% of traders lose money, it is better to take an action that is opposite to what market sentiment bars are showing retail traders to be doing. Examples of market volatility indicators include USD Index, S&P 100 Index (VXO). The volume of buy or sell trades in a currency pair is a very good indicator of market sentiment. When the volume increases during a trend, it confirms that trend. Once volumes start to dry up, it is an indication that the prevailing interest of traders in that asset in the direction of the trend is waning. Notice the sudden spikes in volume to up to 2-3 times the previous average, especially when prices have broken out of tight range. This is indicative of some big event that is happening with regards to that asset. Examples of volume indicators are the Money Flow Index (MFI) and the On-Balance Volume (OBV). The OBV is especially important. It is the cumulative volume addition on days where price ended bullish minus the sum of volume on days that price ended bearish. OBV values tend to peak shortly before prices peak, and tend to bottom out a few days before prices bottom out. Therefore, the OBV measures accumulation sentiment (i.e. buying) as well as distribution sentiment (i.e. selling). Take a look at the snapshot below. It shows the price of XAU/USD in an uptrend. However, the OBV peaks on September 8, 2017, with two doji candles appearing a short while later on the same day. The next candle following the 2 doji candles was a hanging man reversal candle, with a closing price which is lower than the opening price of the bullish candle which preceded the dojis. This is a confirmation that the uptrend has indeed waned and that a reversal is in the offing. The price action confirmed this in the days following this volume sentiment signal. Sentiment indicators are not supposed to be used as exact buy or sell signals. This is the job of technical indicators. Sentiment indicators are not used for confirmation of reversals. They are only an early warning system, if we could use this phrase to describe how they world. Sentiment indicators cannot be used alone to make trade decisions. They must always be subjected to confirmation. In addition to the forex sentiment indicators mentioned above, there are other custom-made sentiment indicators which can be found online and on various brokerage platforms. There are various ways to evaluate and interpret them. As has been said earlier, sentiment indicators are not to be used alone as buy or sell signals; they have to be used in conjunction with other pointers in technical and fundamental analysis to produce the desired outcomes. Sentiment indicators are graphical or numerical indicators which are designed to gauge how traders in a market feel about an asset, business environment or a market. They seek to quantify how various fundamental factors such as unemployment, politics, inflation or other macroeconomic data, influence future behavior of market participants.